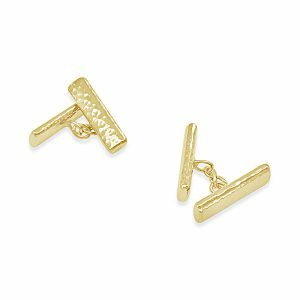 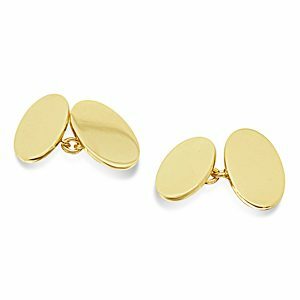 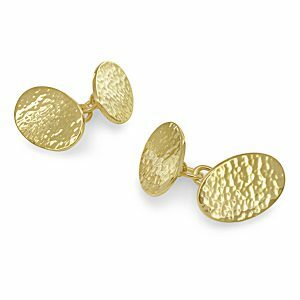 Our lovely heavyweight solid silver and gold cufflinks make a perfect gift. 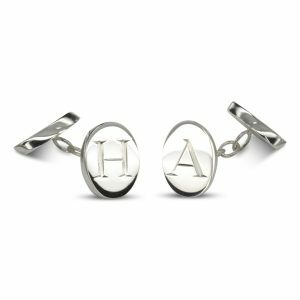 Traditionally for an 18th or 21st birthday present or for presentation for the best man or father-of-the-bride at your wedding, anniversaries, retirements or christenings are just a few of the precious moments when you might want something really special that will be treasured for a lifetime. 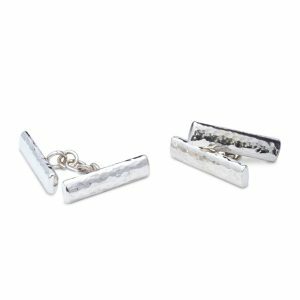 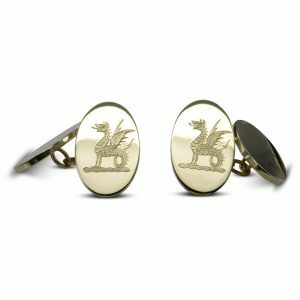 Our handmade cufflinks come in a smooth polished finish or a heavily hammered textured finish, both can be engraved with a family crest, initials or a name and date. 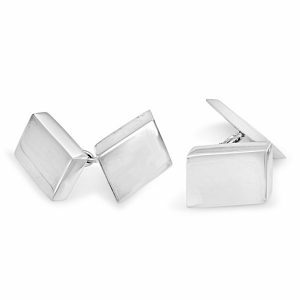 You can design these yourself or we can do a design for you. 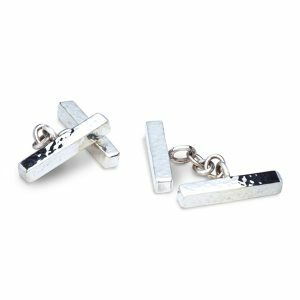 We can also set a gemstone of your choice, perhaps a diamond or birthstone in addition to engraving for that extra personalisation. 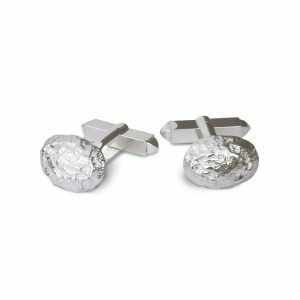 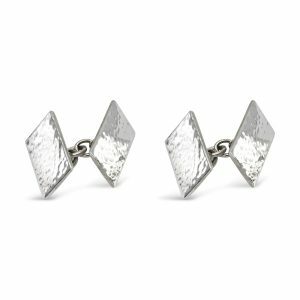 For something extra-special try our model-making service to create a one-off design of a classic car, boat or plane.Men’s gifts are notoriously difficult but our unusual contemporary cuff-links come to the rescue. 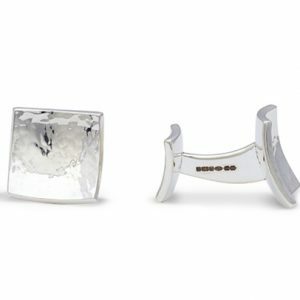 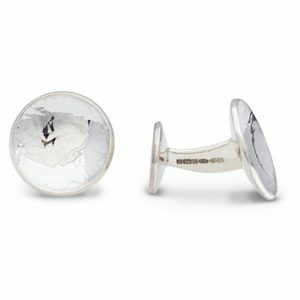 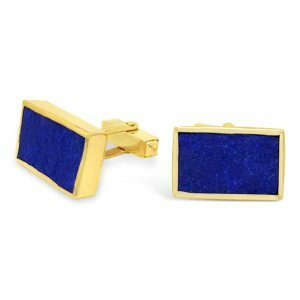 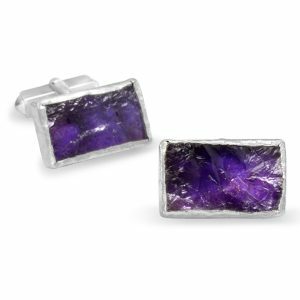 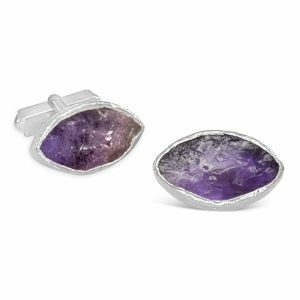 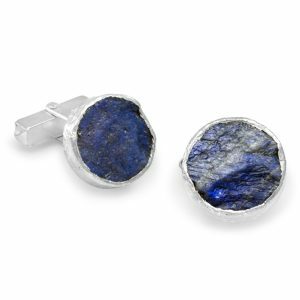 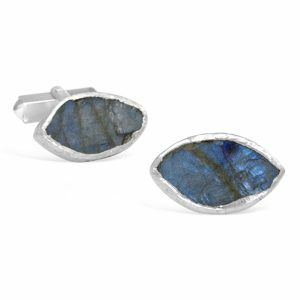 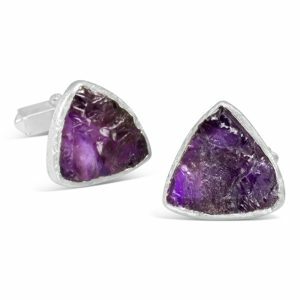 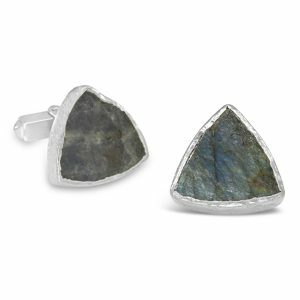 In 2016 we have launched a new range of contemporary stone set cufflinks. 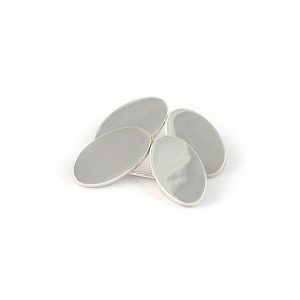 The stones we are using have been specially cut to have an organic and natural looking surface. 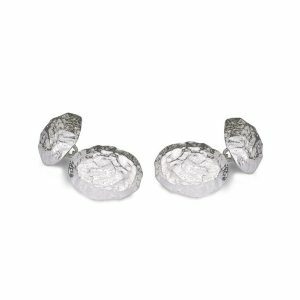 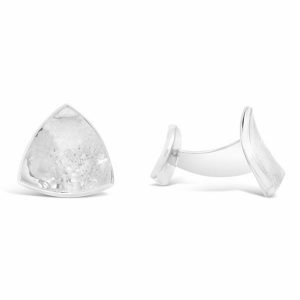 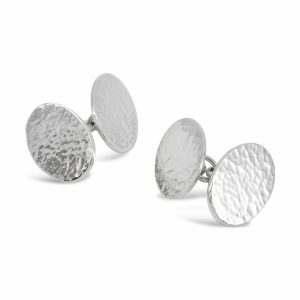 The irregularity of the surface gives the setting edge to the cufflinks an interesting undulating shape. 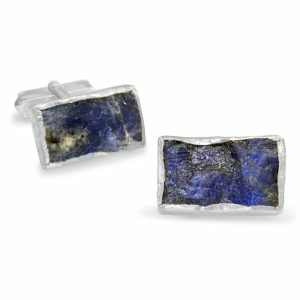 This range will be available in labradirite, lapis lazuli, amethyst, emerald and tanzanite.